For a quiet guy, Shane Goodale has made a lot of “noise” ever since joining the legal arena — good noise; noise that makes changes in people’s lives and inspires them to do good things on their own. 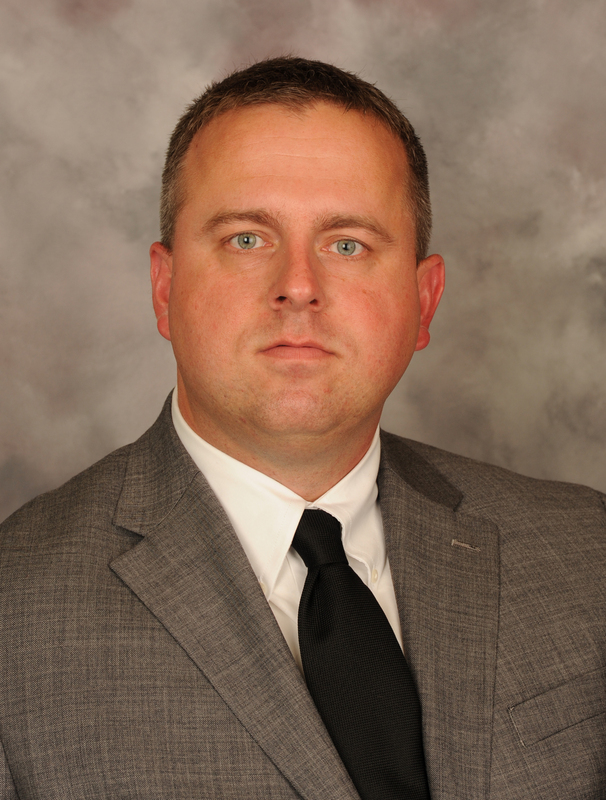 Goodale, 41, graduated from Western Michigan University Thomas M. Cooley Law School in 2012. In the three years since graduation, Goodale, who has a solo practice in Okemos, Michigan, continues to, not just speak out about the needs of people in the community, but do something about it, along with inspire others to join in and help. This summer, Goodale saw a months-in-the-making drive to help the homeless in a practical way come to fruition when he collaborated with Sera Bella salon in the Meridian Mall to provide free haircuts to those in need. Personal grooming might not seem like a necessity to some, but Goodale knew from his experience as a volunteer just how much a difference a spruce-up can mean to people. He started the quest to provide haircuts in the spring, but learned that, in Michigan, cosmetology services must be provided in a licensed salon. He found a salon that would help at Sera Bella after a conversation about the project idea. The manager arranged for stylists to provide the free haircuts; Goodale made arrangements to get interested clients of a Lansing shelter to the mall salon. Goodale was also able to work with Sbarro pizza, from the mall’s food court, to provide free pizza. Inspired by the project, Sera Bella plans to keep a collection box on site for both monetary and non-perishable food donations. 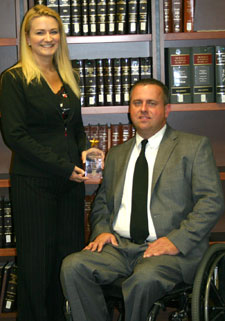 Shane Goodale received WMU-Cooley’s Student Great Deeds Award from Heather Spielmaker in 2011. Goodale is no stranger to the shelter from which the haircut clients came. Called Open Door Ministry and located at the Central United Methodist Church in downtown Lansing, the shelter has been a volunteer outlet for Goodale since his days as a student at WMU-Cooley. 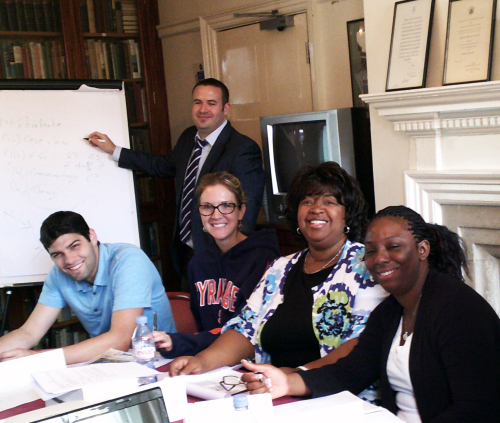 During his tenure as a law student, Goodale inspired fellow students to help the homeless as part of a class project. That experience led him to found a free legal clinic called HAPP, the Homeless Assistance and Prevention Project. The clinic provides free basic legal services to people who visit the Open Door Ministry, as well as pro bono opportunities for succeeding classes of law students. Goodale was acknowledged in 2011 for his volunteer work when he was presented with the first-ever Lansing campus WMU-Cooley Student Great Deeds Award. He was also noted for his service with the Meridian Township Planning Commission, and his service on the board of directors for Stormfield Theater. In addition to his continued service on the Open Door Ministry Board of Directors, and with HAPP, Goodale also now serves as a member of the Parkwood YMCA Board of Directors, and as a community reinvestment fund board member for the Mid-Michigan Environmental Action Council. 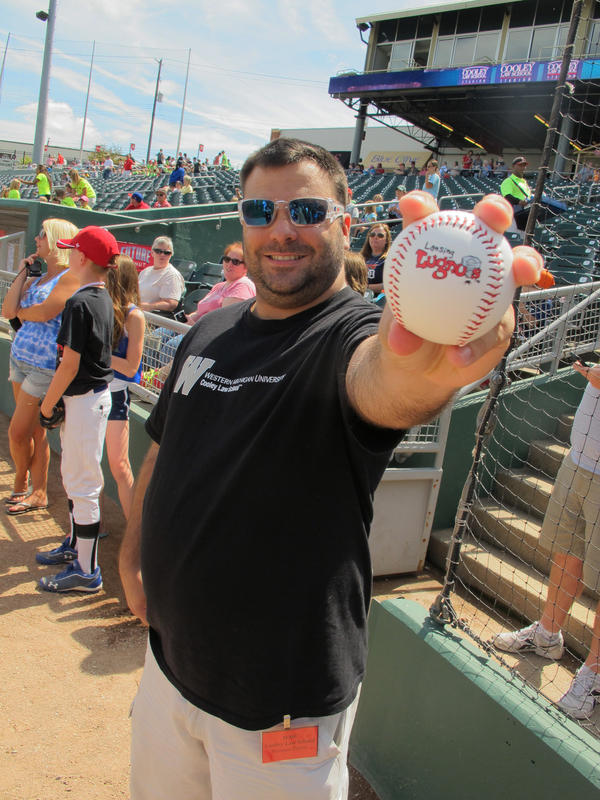 WMU-Cooley student from France pitches a strike during Cooley for Kids Day – and in law school. WMU-Cooley student Romain Peyret getting ready to throw a first pitch during Cooley for Kids on July 22, 2015. Romain is no stranger to firsts and doing new things. He’s been all over the world since he was born. His father was in the French Army, so he and his twin brother, Benoit, along with his younger brother Luc, moved a lot. Romain explained that he learned early on how to adapt to new experiences and to think of everything as an adventure. Romain let’s Nathan know that he only has to make it to the catcher – that’s it! Romain started looking into law schools and asked around for suggestions. His friend suggested Western Michigan University Cooley Law School. He knew about WMU-Cooley and thought the law school would be a good fit for him. He took his friends advice, applied, and was accepted. One more move for Romain – this time to Lansing, Michigan! And he’s never looked back. He’s taking in every minute, along with excelling in his studies, meeting law students from all over the world, and making sure to get involved in the law school’s student organizations. In fact, Romain jumped the chance to be a part of WMU-Cooley’s intramural softball team. 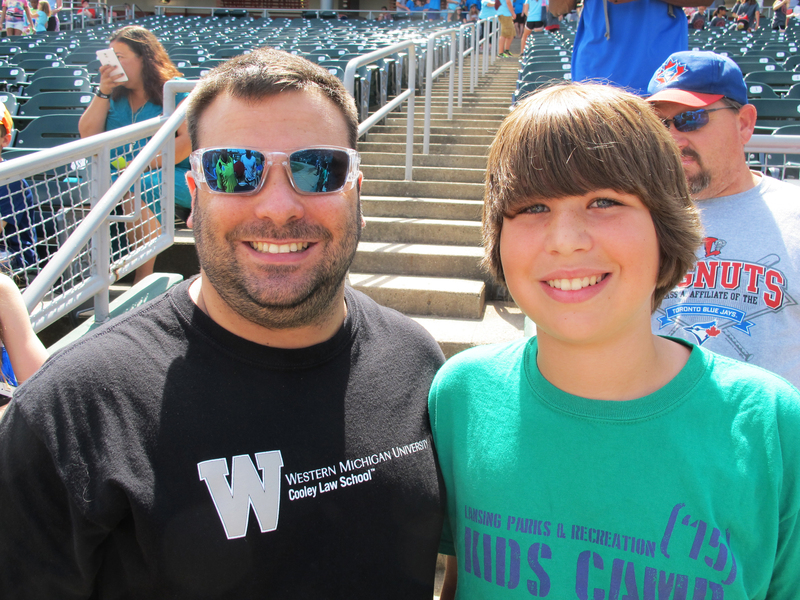 WMU-Cooley law students and Parks & Rec kids at Cooley Law School Stadium. 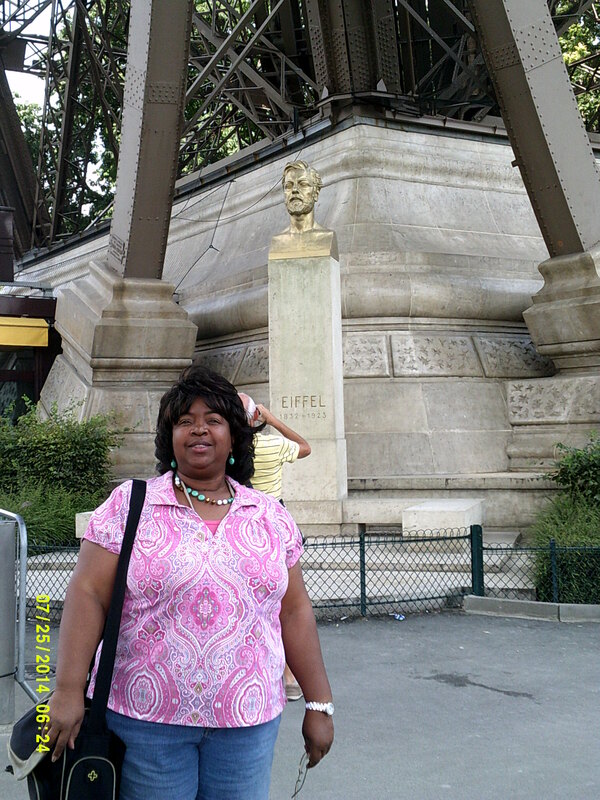 “I love being busy and involved in all types of organizations and social activities,” stated Romain. “I never really knew much about – forget played – baseball before I came to WMU-Cooley. It just wasn’t something I thought about until we came to the United States. I’m really glad I got some practice in before I stepped on the mound to throw a first pitch at Cooley for Kids though! “It looked like a strike to me,” declared Julie Mullens, WMU-Cooley’s director of the Lansing campus. “Heads up Central Florida! Not only will you have a sharp, fair and direct prosecutor arriving in a couple years, you will also have a highly valued left-handed pitcher! 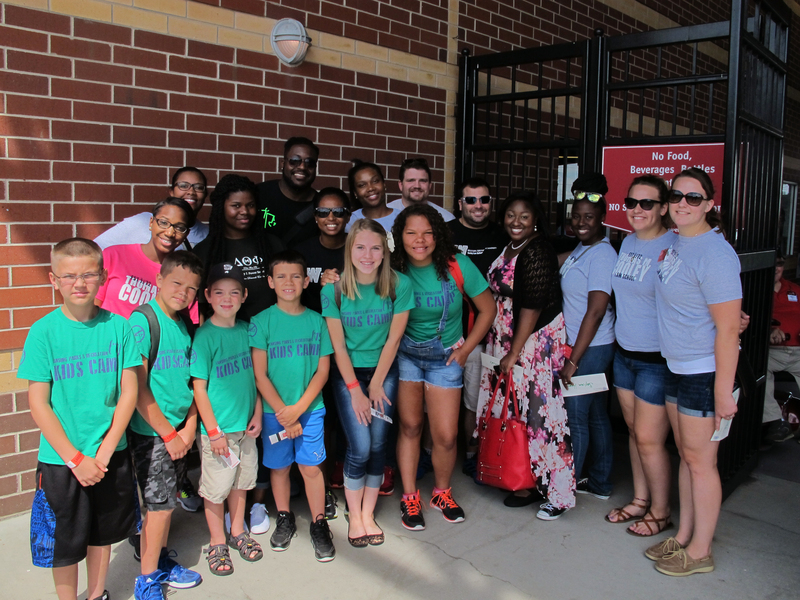 Each year, over 500 kids from Lansing’s Parks and Recreation program join up with law students at Cooley Law School Stadium for Cooley for Kids Day. 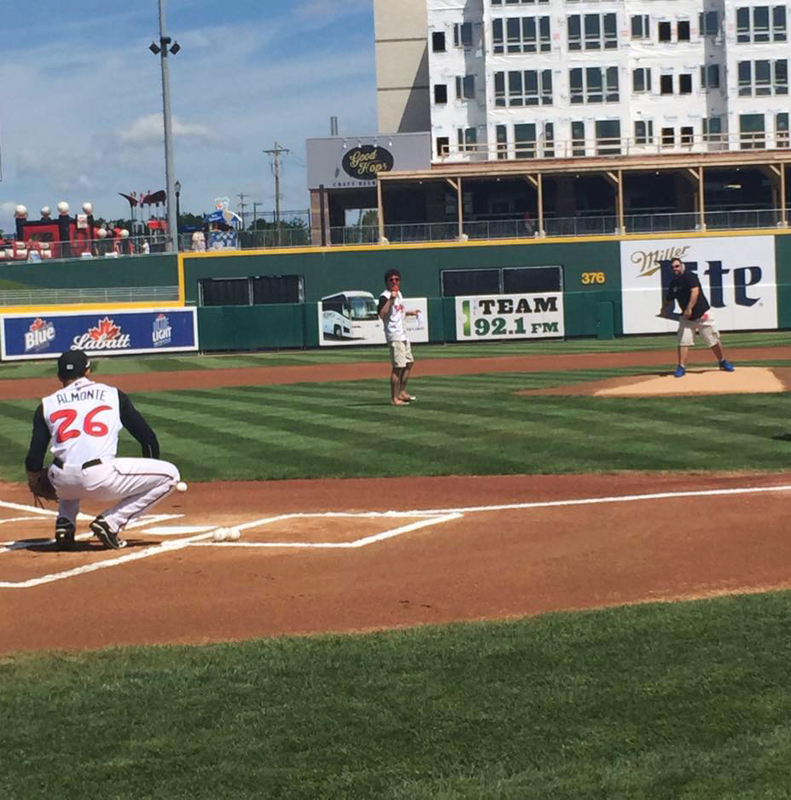 Nine lucky Parks and Rec kids and law students pair up as part of the game’s Dream Team – where they take the bases with Lansing Lugnuts players on the field before the game. Plus, a law student, like Romain, and a Parks and Rec student get to throw out a first pitch, and a WMU-Cooley law student gets to sing the National Anthem. There’s a parade around the ball field, lunch, and a fun 7th Inning stretch activity to cap the day’s events. 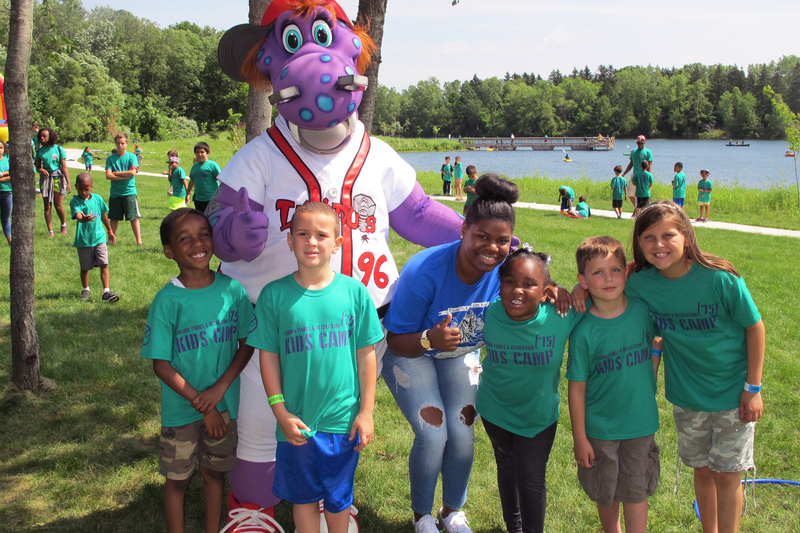 WMU-Cooley also puts law students and Parks & Rec students together for Cooley for Kids “Day with Big Lug.” This year they met up on June 17, 2015, at Lansing’s Crego Park for a day of sun and water fun. WMU-Cooley law student Denaye Wallace and Big Lug give a thumbs up before they head off for another one of the day’s activities. Video footage of murder: Is it too prejudicial or probative? 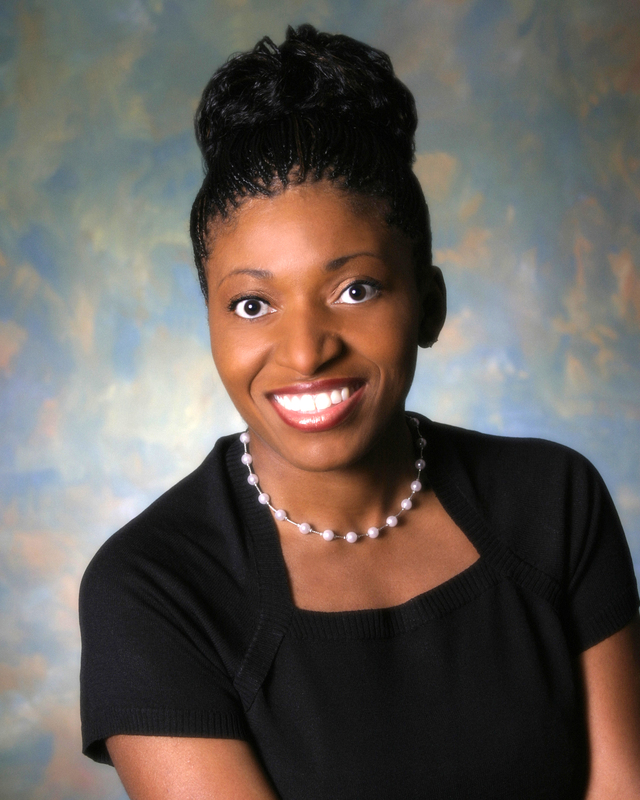 WMU-Cooley Professor Karen Fultz explains why the use of video footage may not be considered admissible in the court of law in Florida’s State v. Dontae Morris case. In this country we are innocent until proven, by the requisite legal standard of beyond a reasonable doubt, guilty. Additionally, lawyers (defense counsel and prosecutors) are prohibited, during criminal trials, from making any attempts to evoke a juror’s sympathy to obtain a favorable verdict. These rules are enforced by the judiciary. In criminal trials, the judge is the gatekeeper and determines what will or will not be presented to the jury for consideration and deliberation of a defendant’s guilt. Those rulings must be guided by the Florida Evidence Code. In the State v. Dontae Morris case, involving the alleged murder of Derek Anderson, the prosecution filed a Motion with the Court requesting the right to introduce as evidence the dash cam video and audio footage depicting Mr. Morris shooting and killing Officer David Curtis and Officer Jeffrey Kocab in 2010. Based upon the emotional impact of seeing the video, it may be more prejudicial to Mr. Morris’ defense than provide any probative value to the charges in the case, especially in light of the other evidence the prosecution had available and Mr. Morris’ constitutional right to not testify in his own defense. *In November 2013, Mr. Morris was convicted of two counts of murder, among other charges and sentenced to death in May 2014. **The field of ballistics is able to identify rifling patterns, marks made by using suppressors (silencers), shell casings, powder burn and many other different areas relating to the use of firearms and the evidence they leave behind. Fitness Unleashed gives shelter dogs something to bark about. Shelter dog, Nitro, gets poised and ready to walk the trails at WMU-Cooley’s Auburn Hills campus during Fitness Unleashed. WMU-Cooley law student James Langley gives his shelter dog, Diesel, a drink before their walk on the trails. 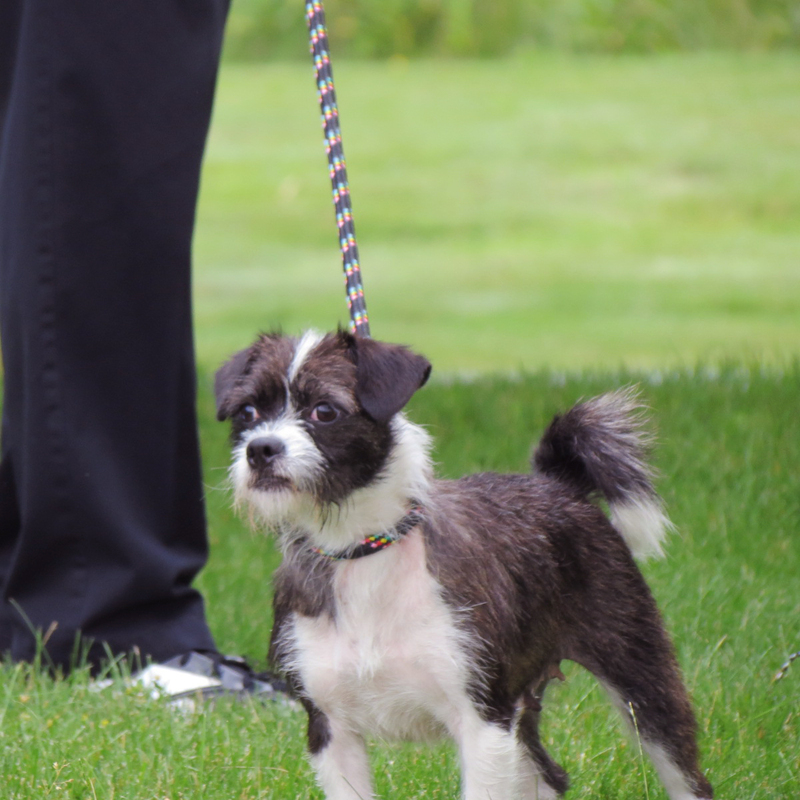 Dogs and WMU-Cooley faculty, staff and law students are teaming up with the Oakland County Animal Control and Pet Adoption Center to hit the trails this summer for Fitness Unleashed, a cooperative program to help shelter dogs. 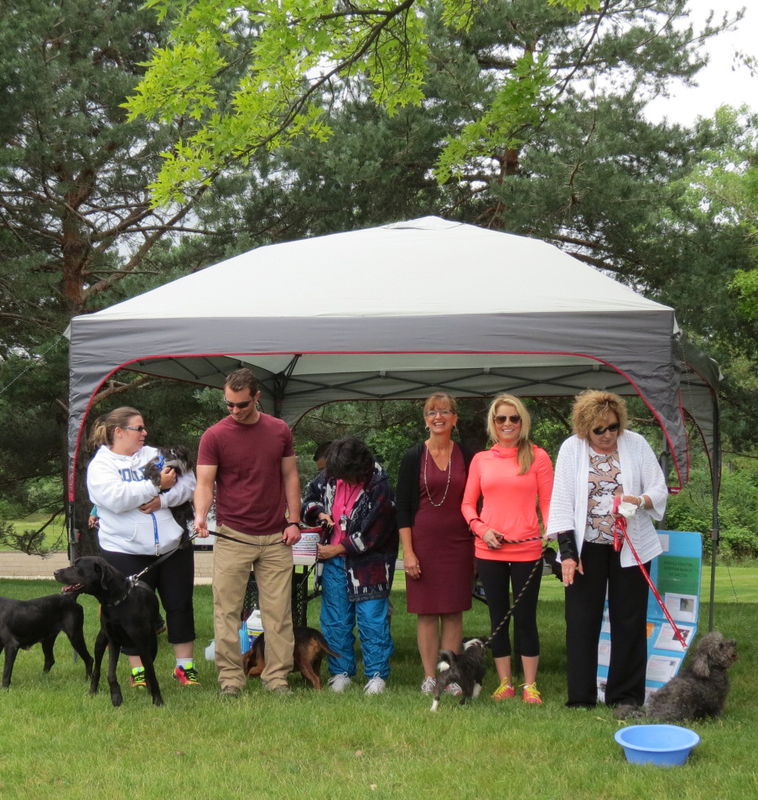 If you ask participants though, they not only love the idea of giving their shelter dog a much needed walk in the park, they also appreciate roaming the beautiful trails among the spacious 67 wooded acres on WMU-Cooley’s Auburn Hills campus. Twice a month, on Wednesdays, the OCAC is on WMU-Cooley’s Auburn Hills campus with dogs that need to be walked. 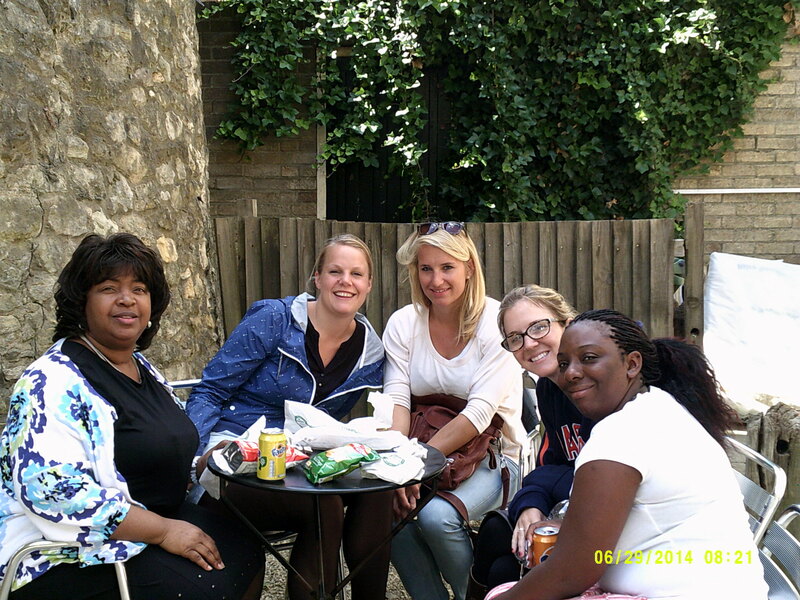 Participants also admitted that it was a great way to get in some exercise and reduce stress. 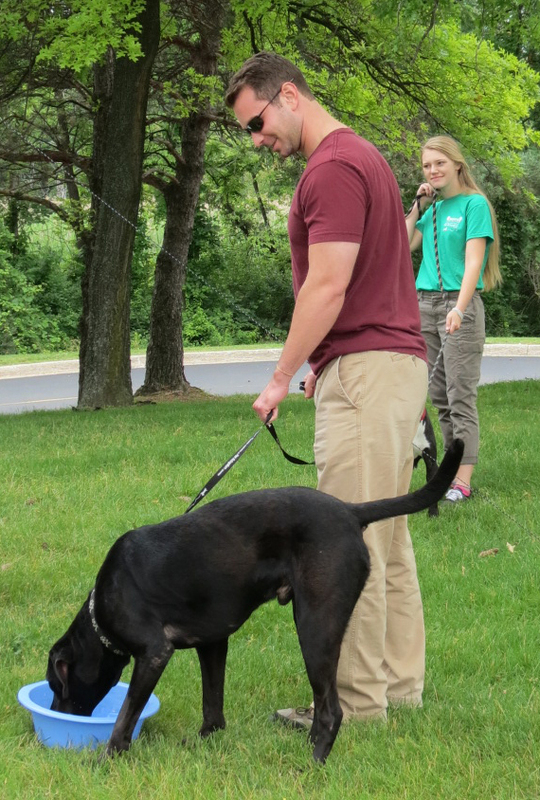 WMU-Cooley law student Sarah Gorski trys to point her dog in the right direction before hitting the trails during Fitness Unleashed. The Oakland County Animal Control and Pet Adoption Center and WMU-Cooley Auburn Hills faculty, staff, and students get ready to walk their shelter dogs during Fitness Unleashed. Those participating in the program give the pets some much-enjoyed attention and take them for walks on the campus’ 67 wooded acres. From left, WMU-Cooley staff member Cathy Oaten joins Brianna Bolton and Cooley students Eric Shepherd and Matthew Super as they begin their Fitness Unleashed dog walk on the WMU-Cooley Auburn Hills campus. Kids take the driver’s seat at WMU-Cooley Law School’s Children’s Law Society Summer Safety event on July 13, 2015. Rub a fire truck and some kids together and you create a spark of learning. 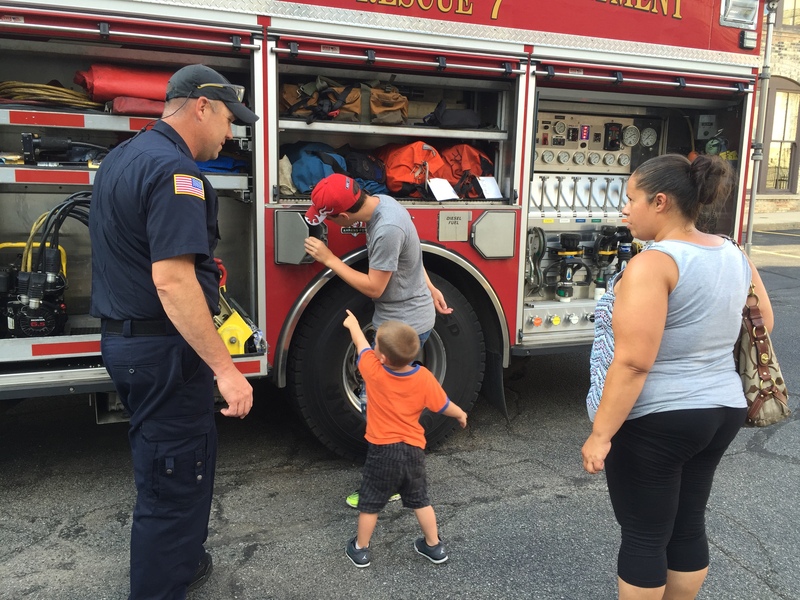 That’s what WMU-Cooley Children’s Law Society law students did when they hosted a Summer Safety Seminar with the Grand Rapids Fire Department and the Grand Rapids Police Department on Monday, July 13. Their goal was to expose area kids to what firefighters do for the community and to teach them how to have a safe and fun summer. The kids learned first hand that firefighters not only put out fires, but they do much more. They rescue people from car accidents. They help and work with the police. They save trapped animals. They provide emergency medical assistance. They even deliver babies! WMU-Cooley Law School’s Children’s Law Society, in partnership with the Grand Rapids Police Department and the Grand Rapids Fire Department, hosted a Summer Safety Seminar for parents and children from the Grand Rapids community. The kids also got to learn about all the important equipment on the fire truck, including things like hoses, ladders, tools to help save lives, ventilating equipment, first aid kits, warning sirens, two-way radios, and a mobile computer. 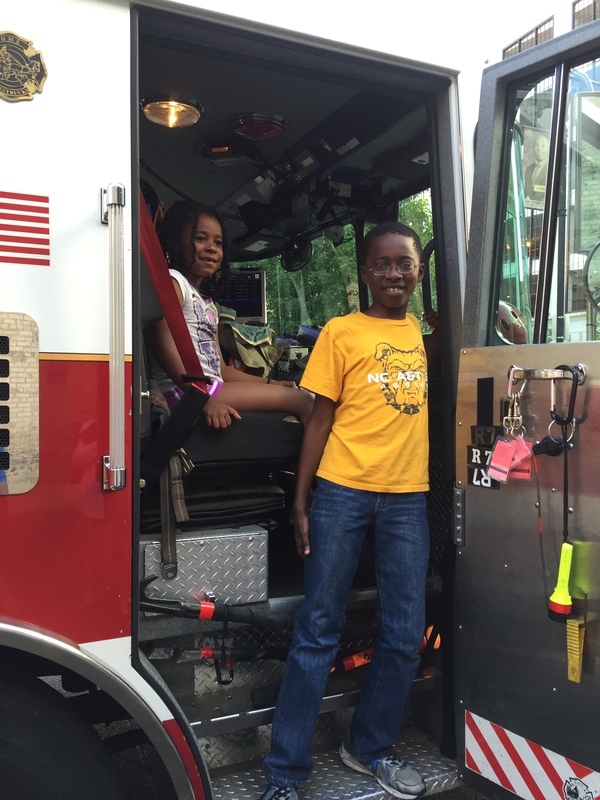 Kids loved sitting in the front seat of a fire truck at the Summer Safety event. Each of the kids got to sit in the front seat of the fire truck and feel what it might be like to be a firefighter. The firefighters and police were also available to answer questions from parents and children alike. 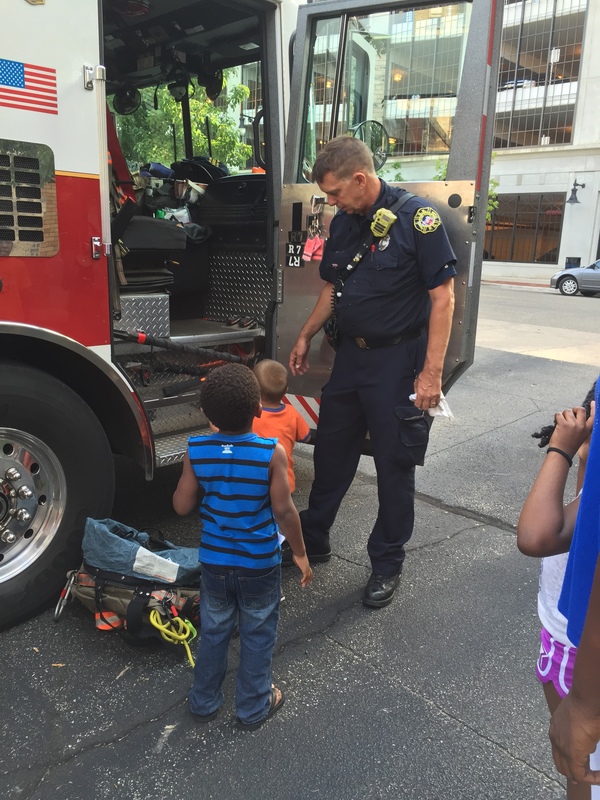 After the event, several impressed kids expressed sincere interest in becoming a firefighter when they grow up. What they really learned was that, although summer is meant to be about having fun, it was also about making sure you are safe. Along with making sure you know how to beat the heat, how to be careful around water, and how to keep bugs away, here are Summer Safety Tips from the National Safety Council, the American Academy of Pediatrics, and the Centers for Disease Control and Prevention. 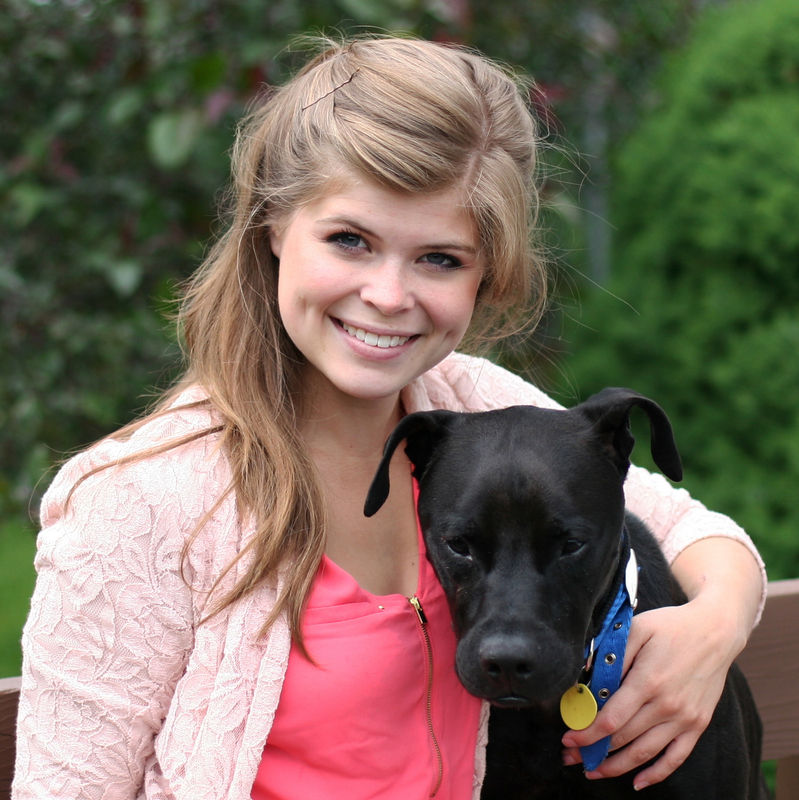 Advocating for animals is a passion and commitment for WMU-Cooley law student Alicia Prygoski. Alicia Prygoski hugs her dog, Patches. Alicia Prygoski is a third-year law student at Western Michigan University Cooley Law School and serves as the president of her Student Animal Legal Defense Fund chapter. Most recently, she received an Advancement of Animal Law Scholarship from the Animal Legal Defense Fund. The national scholarship is awarded to law students based upon their demonstrated commitment to the mission of the Animal Legal Defense Fund, which is to advance the interests and protect the lives of animals through the legal system. Alicia was one of four ALDF award recipients nationwide. Alicia with Chris Green, legislative director of the Animal Legal Defense Fund, and Pam Frasch, executive director of the Center for Animal Law Studies, after the NALC award ceremony. Alicia was thrilled to win an Advancement of Animal Law Scholarship, but was even more excited about the opportunity to compete and network in the annual National Animal Law Competitions held in March 2015. Students compete in one of three areas; either the Closing Argument Competition, the Moot Court Competition, or Legislative Drafting and Lobbying Competition. All of the competitions challenge students with an animal law topic and the judges are various experts in the field. 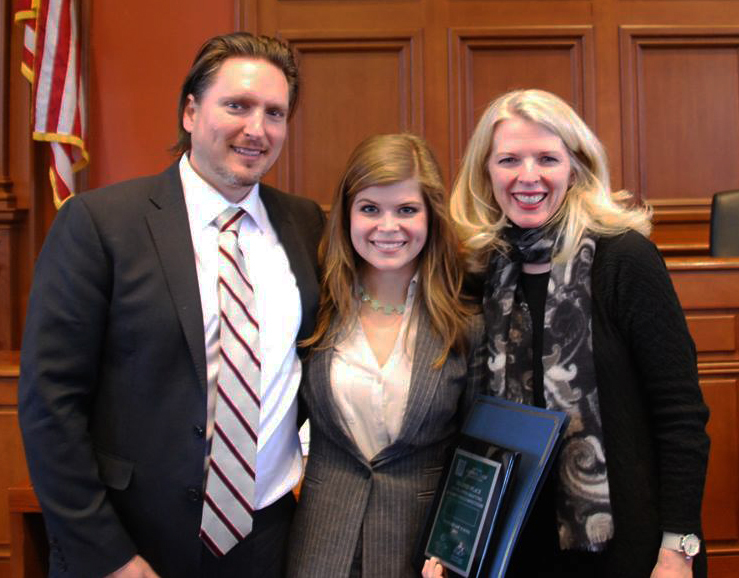 This year, the competitions were at Harvard, and Alicia competed in the Legislative Drafting and Lobbying Competition. That commitment especially extends to her love and passion for animals. The competition really gave her a flavor for the kinds of things she may encounter in a career dedicated to animal advocacy. Alicia plans to use her law degree to advocate for animals through the legislative and policy arena, lobbying to pass animal protection-oriented legislation. Alicia is passionate about helping all animals, but she would like to focus her efforts, in some capacity, on advocating specifically for the welfare and protection of farmed animals.